NOTE: OUR BOTTLES HAVE A BEAUTIFUL NEW LABEL AND THE PRODUCT INSIDE IS THE SAME. This traditional style balsamic has a smooth, thick and flavorful texture that will transform your salads, cheeses and meat dishes. Aged from the reduction and pressed Trebbiano grapes, our Balsamic Vinegar Condimento has a rich, deep chestnut brown color with a natural sweet taste. This balsamic is a delicious and healthy substitute for traditional salad dressing. 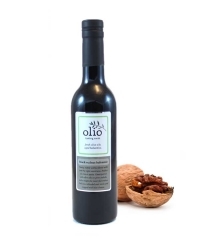 The mild walnut but distinct nutty and sweet flavor compliments green salads and adds a new dimension to rice dishes. 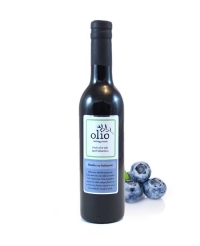 This balsamic vinegar, with its nose of fresh blueberries, is sure to get your taste buds watering for this sweet summer treat. We love the blueberry balsamic drizzled over grilled asparagus or brussel sprouts, or try it in a nice kale or spinach salad, with nuts and feta. Another staff favorite is drizzling it over plain Greek yogurt or your morning pancakes. Our Chocolate Balsamic is sure to be the next conversation piece at your dinner party! With its thick, rich, sharp chocolate taste, it is the perfect compliment to strawberries, pound cake or even smoked cheeses. 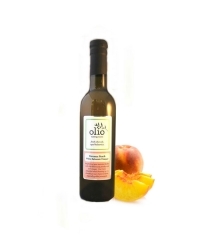 Pair this with our Blood Orange Olive Oil for vibrant salad dressing. 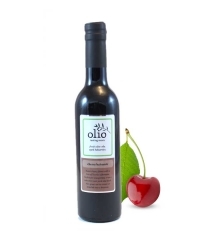 This unique balsamic is a great option for the novice and adventurer. 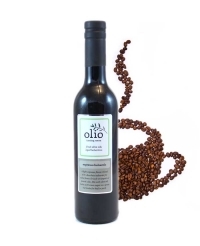 Made from our Balsamic Vinegar Condimento, our Espresso Balsamic Vinegar has a deep, rich and savory flavoring that is not bitter, but has a complex layering of chocolate and espresso. 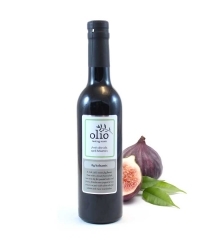 Sweet, nutty, fig infused flavor in a thick, rich high quality balsamic. Our Fig Balsamic can be enjoyed as a simple appetizer with brie cheese, crusty French bread and dried fruit; drizzled over grilled pork. 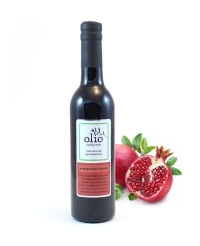 This fruity vinegar has bright, sweet cherry flavors with a hint of licorice aftertaste. It is wonderful in a pork or duck marinade but also makes a delicious low calorie topping for your Sundae in place of high calorie hot fudge! Healthy and delicious? Yes! Our Pomegranate Balsamic is the best of both worlds. Known for its health benefits, pomegranate adds a slight sweet, tart taste to our aged Traditional balsamic. Add a splash of summer to any dish with the sweet flavor Potomac Peach. This white balsamic adds flare to many dishes including salads, fruits and mild cheeses.